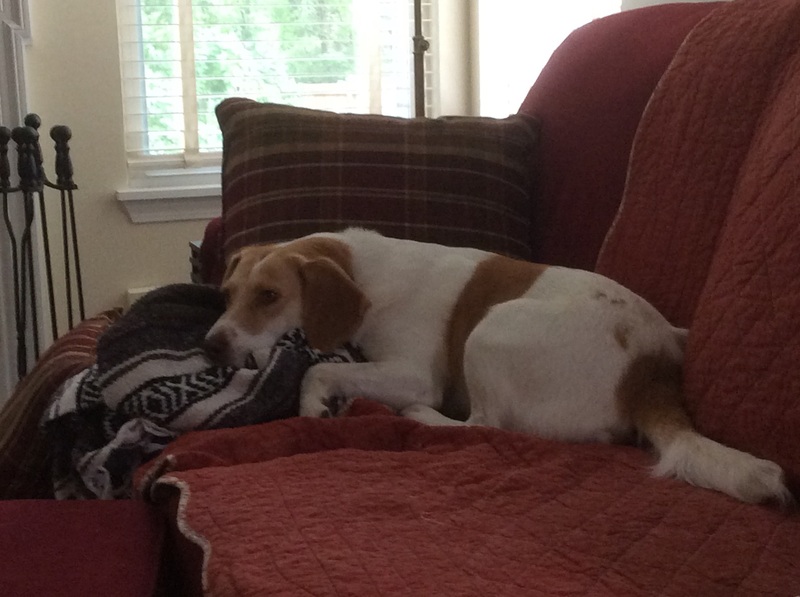 We adopted “Dot,” a Beagle Mix, on March 29, 2015. She was very stand-offish every time I visited the kennel (like nine times before we adopted) always laying in the back of the kennel never coming to the front to see people. My husband and I had our list of four dogs the day we came to finally adopt (she was in last place). Turns out the other dogs were either already adopted or not what we were looking for. There was something about Dot; my husband said, “Let’s go see her again.” We went to her kennel and she still stayed curled up in the back even when we called her. My husband saw something in her so we took her to the off-leash run for a solo visit. 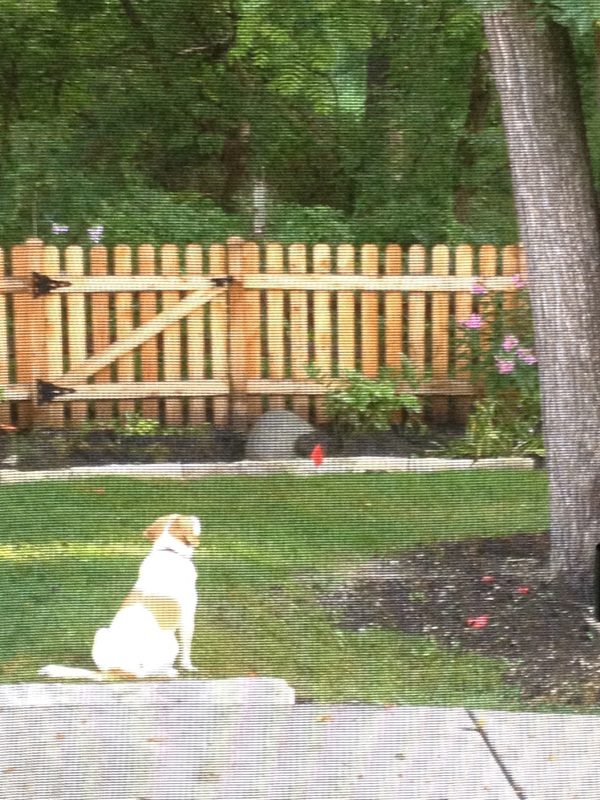 As soon as she got there, she perked up immediately! And of course we fell for her. Dot (Josie now) is such a good dog! We are absolutely in love with her and she is quite smitten with my husband. 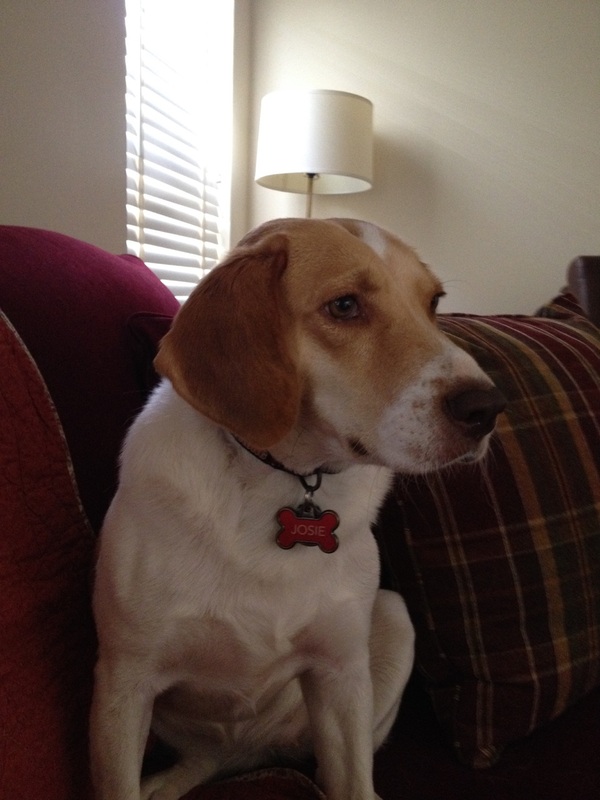 She has taken and passed a six-week obedience class at TOPS (not all dogs pass – yay Josie! 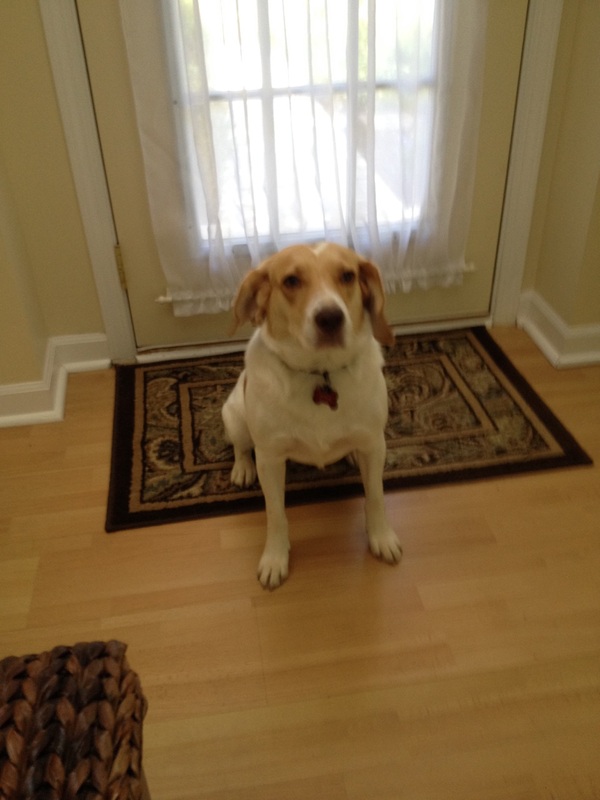 ), she is fun to walk or run with, she loves her new yard, comfy beds, and spending time with us. She is such a sweetheart, she loves snuggling up and giving kisses. While it is always a chance when you adopt a dog with no history, it is definitely worth the risk! Thank you for sharing your success story with us, Suzie and Adam! If you are interested in sharing your own Orphans of the Storm® success story on the blog, please email meetthepooches@gmail.com. 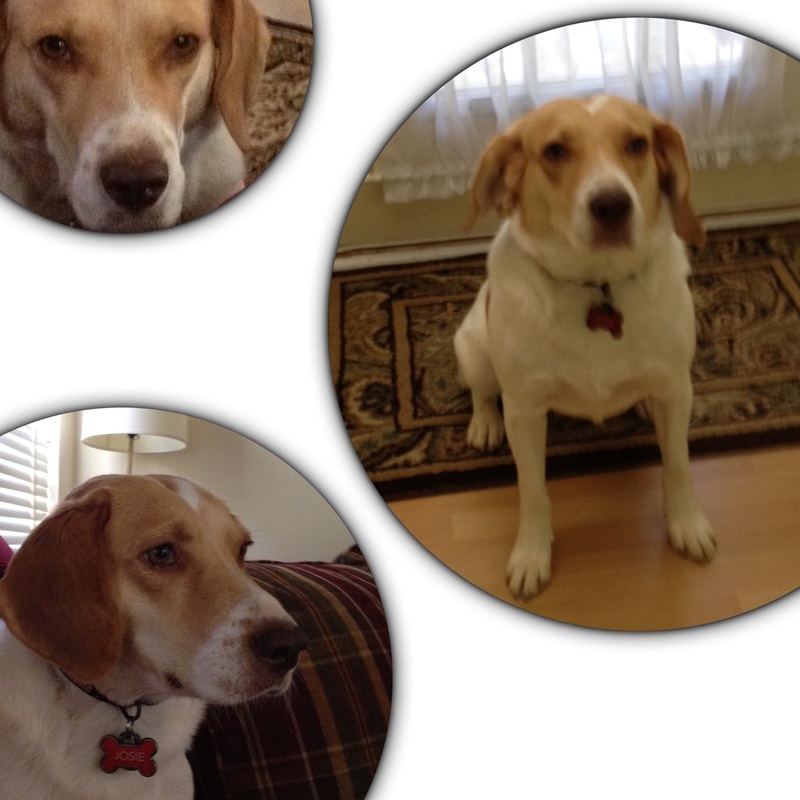 Posted by Meet the Pooches on August 24, 2015 in Interview and tagged adopt, adoption, animal shelter, animals, Beagle, Chicago, Deerfield, dogs, Orphans of the Storm, pets, Riverwoods.